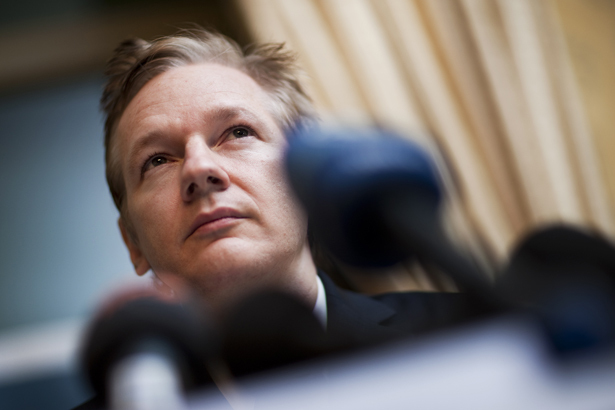 The Wikileaks founder has been in Ecuador’s London embassy for six weeks awaiting a decision on his request for asylum. Over a month ago, the founder and editor-in-chief of WikiLeaks, Julian Assange, entered the Ecuadorean embassy in the United Kingdom and requested political asylum. He has been holed up in the embassy ever since, waiting for the Ecuadorean government to decide on his request, which Ecuador Foreign Minister Ricardo Patiño says will come after the London Olympics. Assange also recently hired former Spanish judge Baltasar Garzón to represent his legal team. The Ecuadorean government appears to be seriously considering the possibility of granting Assange asylum. President Rafael Correa has said the situation is “not simple” and must be studied thoroughly before the country can announce a decision. Patiño has indicated Ecuador will release a document that may be “hundreds of pages” long, which will provide “sufficient justification” for the decision made because the country realizes it could have great “international impact.” And Anna Alban, Ecuador’s ambassador to the UK, flew to Ecuador on June 23 to meet with Correa and brief him on the application. Officials have made it clear to Swedish authorities that they could come question Assange in the embassy at any time. They have sought diplomatic assurances from the UK and Swedish authorities that Assange would not be extradited to the United States, especially if he went to Sweden to be questioned. They’ve done what one might expect a country to do if they were preparing to grant an asylum request. If Ecuador were to grant asylum, an agreement on “safe passage” would have to be worked out before Assange could leave the UK. The Metropolitan Police have served him with a notice that he is to be extradited to Sweden and accused him of violating his bail conditions by remaining in the Ecuadorean embassy. Without an agreement, the police would likely arrest him before he reached an airplane for Ecuador. For making his asylum request, Assange has been criticized for being paranoid or considering himself above the law. His supporters have even faced scorn from commentators for defending his decision to exercise his legal right and seek asylum. So, what evidence exists to suggest Assange is right to consider himself a political target and not a common criminal? The first sign is Swedish authorities have not questioned him yet. As Susan Benn of the Julian Assange Defense Fund stated on June 29, “Although it is normal procedure, Swedish authorities have refused, without reason, to make the three hour trip to London and to interview Julian causing him to be trapped in the UK under virtual house arrest” for over 500 days. Also, once in Sweden, Assange would be imprisoned immediately and not have any opportunity to seek asylum at any embassy in Sweden. Another sign is the existence of a secret grand jury that has been empanelled in Alexandria, Virginia, to investigate WikiLeaks. Assange told Democracy Now! that seven WikiLeaks staffers and volunteers have been subjected to this investigation. Google and Twitter have been issued subpoenas ordering the companies to turn over private data on users believed to be affiliated or connected to WikiLeaks, and the organization suspects that Facebook has also been issued similar subpoenas. The US government has subpoenaed WikiLeaks’s domain registrar, Dynadot, for server data. The government has subpoenaed Sonic.net for the private e-mails of WikiLeaks volunteer Jacob Appelbaum, who has been detained multiple times at airports by federal agents who have questioned him about his links to WikiLeaks. Justice Department spokesperson Dean Boyd said in late June, “There continues to be an investigation into the WikiLeaks matter.” Also, in a June motion hearing in the case of Pfc. Bradley Manning, the soldier accused of releasing classified information to WikiLeaks, it was revealed that the FBI has a 42,135-page investigative file into WikiLeaks. Only 8,741 of the pages are allegedly relevant to Manning’s case. That means more than 30,000 of the other pages likely involve evidence the US government has on Assange and WikiLeaks staffers or volunteers. It is hard to imagine that this investigative file would be put together if the US government did not plan to prosecute someone. Not to mention, Manning is charged with “aiding the enemy” and military prosecutors have established in court that the “enemy” is Al Qaeda. WikiLeaks’ releases of diplomatic cables, war logs, the “Collateral Murder” video and other disclosures brought about shocks to American superpower on a scale no person in US government could have ever imagined. Collectively, the releases exposed how US diplomats had engaged in blackmail, bribery, coercion, cover-ups, fraud, misconduct and other tactics to advance US foreign policy. Those in Washington currently appear to have a zero tolerance for the free flow of information, particularly information that results in criticism or scrutiny of the US. Given that, it is reasonable to suggest that—especially after the grand jury investigation concludes—the US government would be interested in making a request for Assange’s extradition.